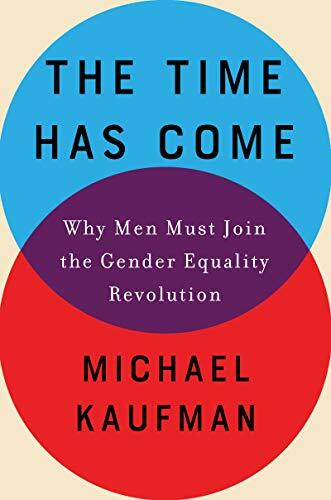 MICHAEL KAUFMAN: The biggest example of a change in men's lives and men's gendered behavior, in the definition of manhood, is right now in the transformation of fatherhood. You know, what we're seeing now is just this-- it's changing thousands of years of history. I remember when my kids were young, this was years ago, if I couldn't go out or do something or go to a meeting some night because I was looking after my kids, people would say, oh, you're babysitting tonight, or they say, oh great, how much you help out with your kids. And I'd be really pissed off. I'd be thinking, I don't babysit my own kids, I don't help out, I'm a parent. Well, that was still a bit unusual back then. But now when I talk to young fathers in their 20s, in their 30s, no one would dare say to them, you're babysitting, you're helping out. Increasingly young fathers are saying, I'm striving to be an equal parent, I'm striving to take on half of the care work in my home, I'm striving to take on half of the housework. Now it's still unequal in our homes. It's still unequal. But increasingly we're seeing men doing more and more and more of that. Now the significance of this is huge. This is perhaps the single most important thing for gender equality at the workplace, for equal pay. It's because women are burdened with childcare and housework that they take longer off for parental leave, that they're the ones tending to take off work if their kid is sick, that women can't advance in the workforce as far. Women don't go for that promotion, women don't travel as much for work, and so forth. So with men doing half of the care work, it's going to be a major boost to women's empowerment, to equal pay. It's also-- and all the research tells us this is great for children, for children's emotional development and well-being-- but we also know this is good for men. And one of the biggest things is this. To be a successful caregiver you've got to be empathetic, and you gotta be empathetic because a little kid, a baby, can't talk, and when they can start talking they can't express their emotions. So a parent has to feel what a baby feels. So think about it. Think about if, for thousands of years in some cultures, men haven't been doing the primary childcare, it means and men have become less empathetic than we could be. Part of our definition of manhood hasn't been how feely and connected you are, it's how tough you are and how this you are, so if we change fatherhood we're changing something is at the very heart of our ideas of what it means to be a man. And if you're more empathetic what does that mean? Well, it means there's going to be less violence, because it's harder to cause harm to someone if you can feel the pain you're causing. It's going to be a huge boost to leadership. I was speaking last year in Singapore to a group of bankers. These were bankers both from Asia and in Europe. And this one senior vice president of a major British bank, who was in charge of all of Asia for this bank, started speaking. And he said, every morning, he said, I make breakfast for my kids, I take them to school, then I get to work he said around 9:00. All the bankers in the room laughed. You know, this is not banker's hours. And then he says, this is really important to my wife and her career, this is really important to my children, and this is really important to me. And then he paused and he said something that I think just floored the audience. He said, and this has made me a better leader. I can listen better, I can understand differences better, I'm more responsive to different needs, I'm more empathetic. It's made him a better leader.